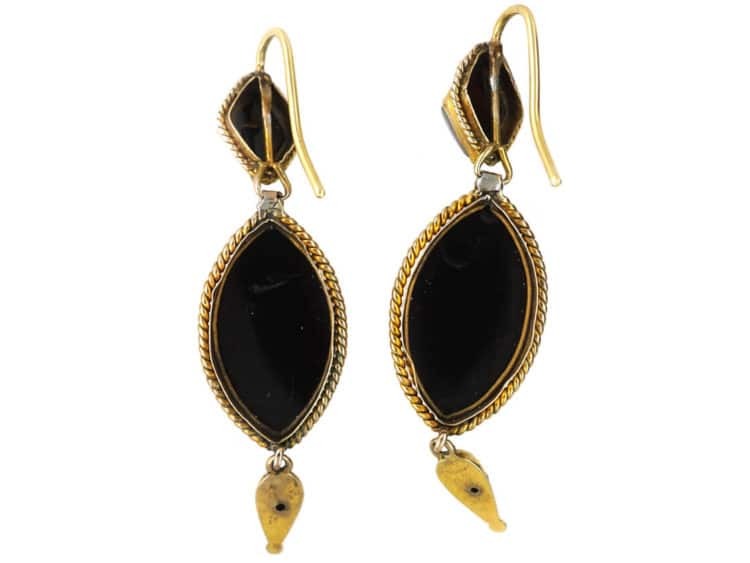 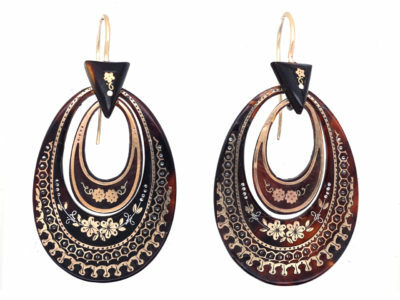 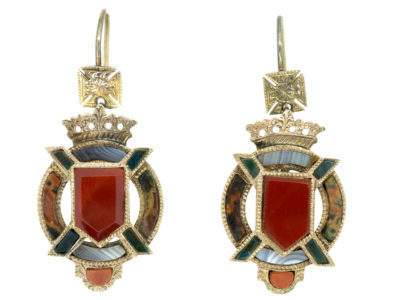 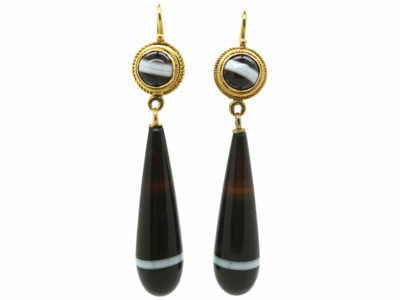 A striking pair of Victorian 18ct gold earrings that are set with four cabochon banded sardonyx pieces. 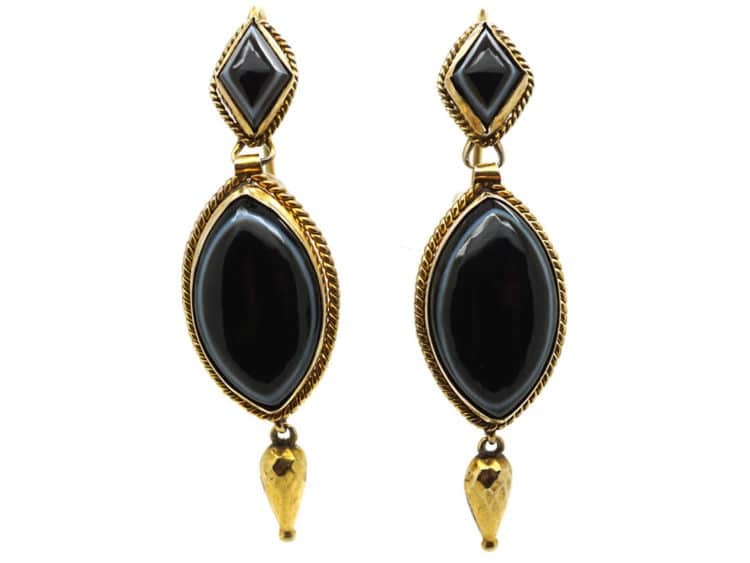 The clever bit was in the polishing of these stones so that the natural white band in the hard stone came out in a perfect line, let alone a diamond shape or a marquise shape as seen here. 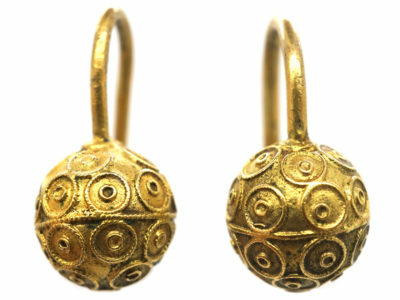 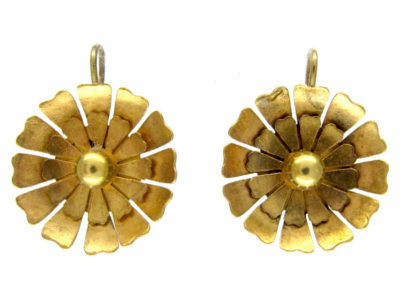 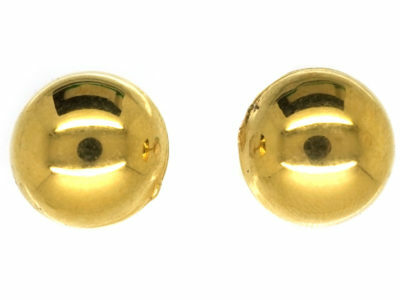 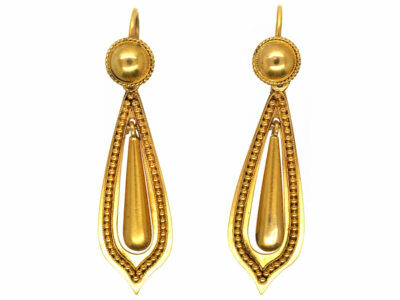 They each have a faceted 15ct gold drop. 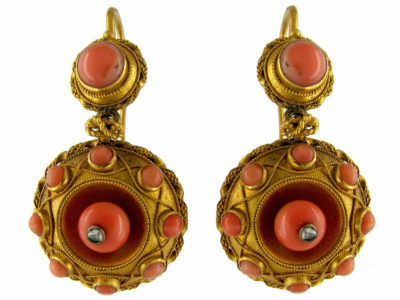 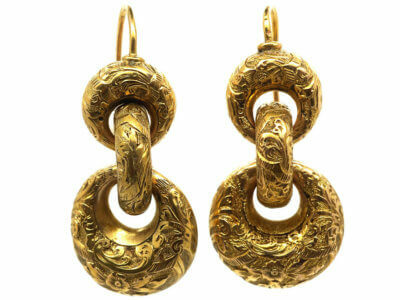 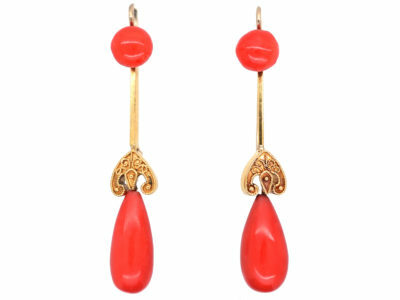 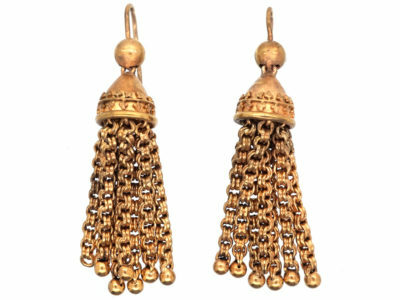 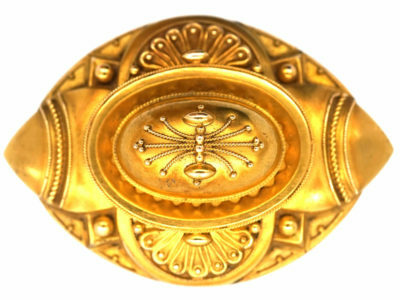 They look amazing on the ear and were made circa 1860-1880.